Shoes are a basic footwear necessity for some but for others, the love of footwear knows no bounds. No matter which category you fall into, you’ll find the subject of today’s discussion quite enthralling. Hold on to your socks people, this is a compilation of the top 5 most expensive shoes in the world. Kicking off our list is this Hollywood memorabilia that was modeled in the image of a pair of red magic shoes worn by the endearing character Dorothy from the Wizard of OZ. The shoe architecture takes on a domineering crimson that takes over the entire upper body but for the shiny diamonds that line out the boundaries of the bow and top enchantingly. 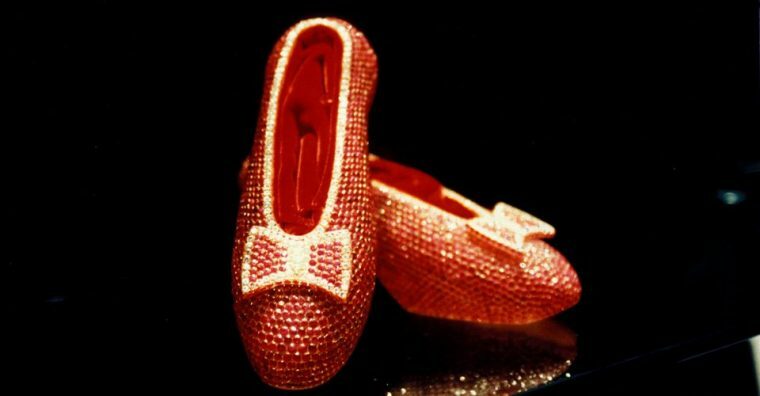 The shoes are adorned with rubies, hence the red color and name, and will set you back $3 million. These subtle heels tie with its predecessor for the number 1 spot on account of its $3 million price tag. Inspired by an exquisite earring piece belonging to Rita Hayworth, the shoe takes on a gorgeous obsidian shade with folded flowers atop the front that are fused together by a delightful earring that consists of rubies, sapphires and diamonds. A vivid satin alteration breaks the monotony of the chocolate-brown leather whilst also complementing the glittering stones marvelously. Another Stuart Weitzman design claims a position on this list at number 3 and the name pretty much speaks for itself here. These princess-inspired slippers are imbued with a beguiling top-notch brand of Italian leather that forms the perfect backdrop for its 565 Kwiat diamonds. 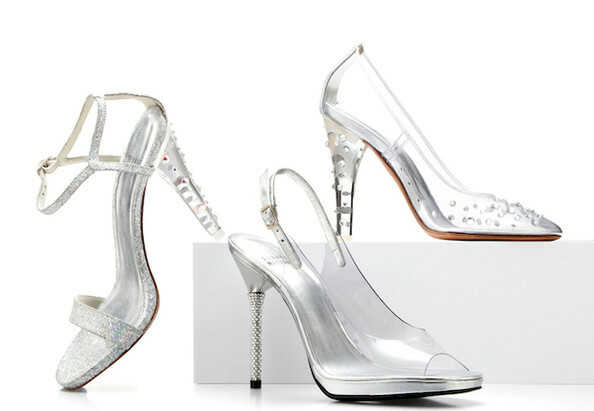 If you ever wondered what you’d do with $ 2 million dollars, then wonder no more as these Cinderella-esque stiletto heels cost just that. Another $2 million dollar shoe from the aforementioned American designer also makes the cut as joint third. 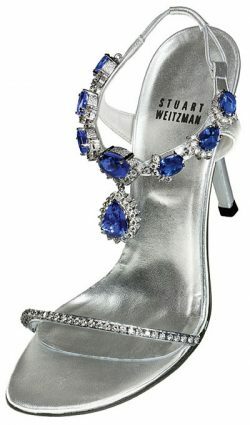 The tanzanite heels consist of a mesmerizing silver canvas that is brought to life alluringly by an assortment of gemstones and diamonds. Lively blue tanzanite stones decorate the top-most lace and the lovely stones share the exterior with silver-set diamonds that decorate both of the upper body supports. 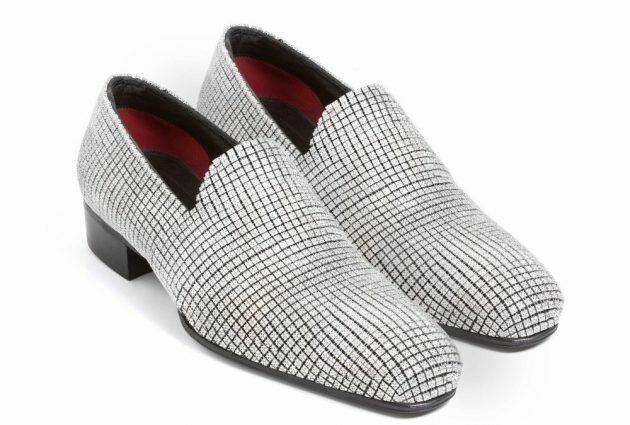 These customer-made shoes are star-studded in every sense of the word not only because they boast a diamond-encrusted upside but also because they were worn by superstar Nick Cannon for the series finale of American Idol. The shoe design incorporates round-cut white diamonds placed against a similarly colored shade of gold and the two materials portray a classy shade of square patterns isolated by overflowing black contours. $ 2 million is the price tag to match to get yourself a pair of these beauties. A “most expensive shoes” list would certainly be incomplete without acknowledging a pair of size 10 office wears whose value went from a few dozen dollars to $10 million in a matter of seconds. These shoes are not special in any way rather they were the ones thrown by an Iraqi reporter at former president G. Bush during a press briefing on December 14, 2008. This zero-to-hero footwear dubbed the “farewell kiss” rounds off our top 5. These shoes are just a dream for most of us girls, but in the meantime, there are many web shops all around the internet where we can get nice shoes for much less money.